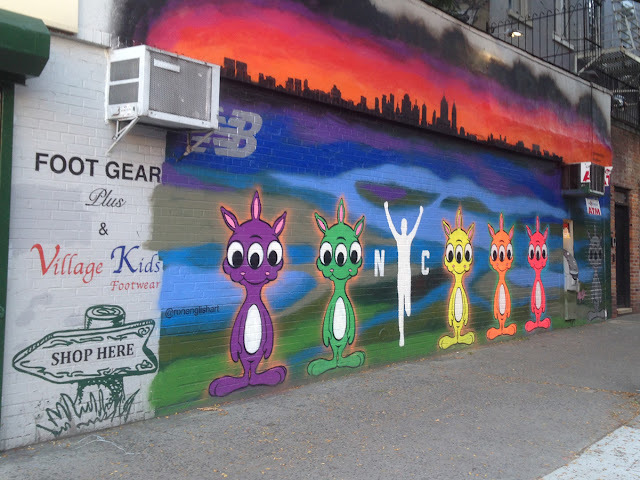 The outside wall of the beloved Foot Gear Plus on St. Mark's Place and First Avenue changes murals faster than they change inventory! Did I say "a mere seventeen days ago"? In mural-years, that's a lifetime — it's probably already changed!